My Best Friends understands that making decisions about how to say goodbye to your beloved pet can be difficult. It is important to find your own way to honor the special moments and love your pet and best friend has given unconditionally. 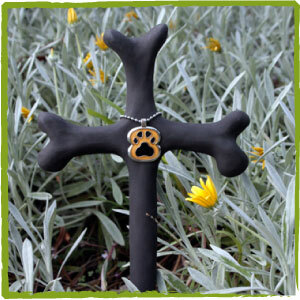 Our memorial products offer you something unique and distinctive for your fury friend. 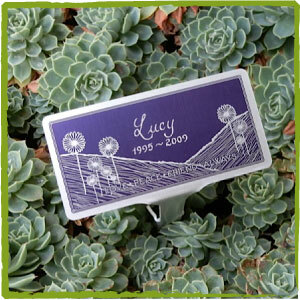 Our Memorial products are able to be personalised by you in a variety of ways. The designs are discrete, contemporary and hand crafted. Perfect for the home, garden, or balcony. My Best Friends are dedicated to the celebration of a souls journey and the remembrance of the love they imparted to you and your family. Our pets often have a special place in the garden. Marking their favourite place as part of a remembrance is a beautiful gesture of the good times shared. 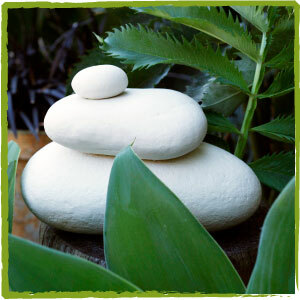 The concept of the stacking stone urns are based on a traditional cairn. In many indigenous cultures a stack of stones was used to mark the path for a soul to move from one world to the after life or heaven. Stacking stone urns are designed to contain your special friend's ashes, be it a dog, cat. bird, mouse or any other creature large or small. The Burial Bone is designed to be a personal memorial and acts as a marker of the special spot in your garden or balcony for your much loved pet.